What a great design Yogi! So delicate and elegant! I love the added colour and the wonderful sentiment! Thanks for sharing this with us at Digistamps 4 Joy! So lovely! I love that this lies flat too! 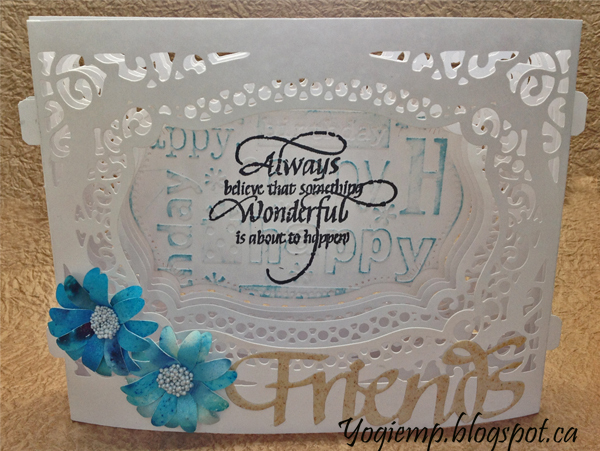 Thanks for joining us at Die Cut Diva's. Stunning card, loving the dimension and the die you have used. Yogi, your 80 year young friend must have enjoyed this card so much. It's beautiful. It almost appears as though the image is floating within the depths of all that fabulous dimension. What a amazing card!!! I love it!!! Pretty layers and dies. 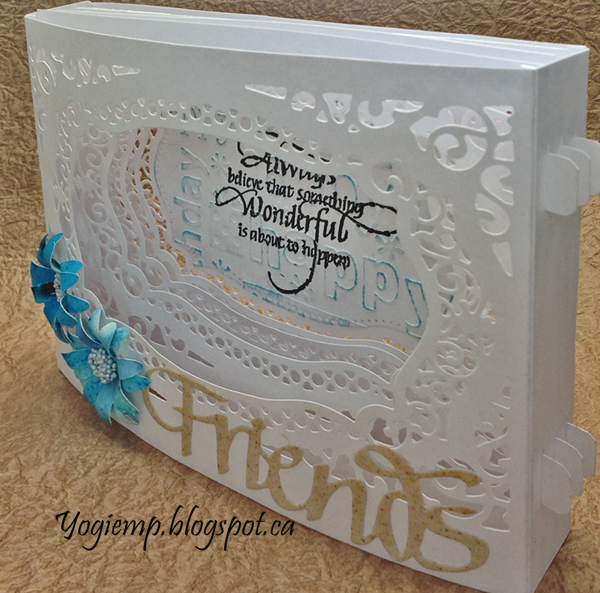 I like the sentiment and embossing folders. So glad you shared over at Inspiration Destination. Gorgeous card. I was lucky enough to see Becca demoing the vignette set live a couple of weeks ago and you have done them justice. Beautiful, Yogi! Loving all the layers inside. Thanks so much for playing along in our "Anything Goes" challenge at QKR Stampede this week. Good luck. Lots of work and the result is wonderful. So lovely. Lovely. So glad you joined Die Cut Divas this month. Yogi this is a wonderful creation with great attention to detail and perfect for our ‘ANYTHING GOES with an optional twist of FOR MOM challenge. Thanks for sharing your talent with us. Good luck. Wow, this is so stunning!! I love the design!! It's gorgeous!! Thanks so much for playing along at Scrapy Land! !